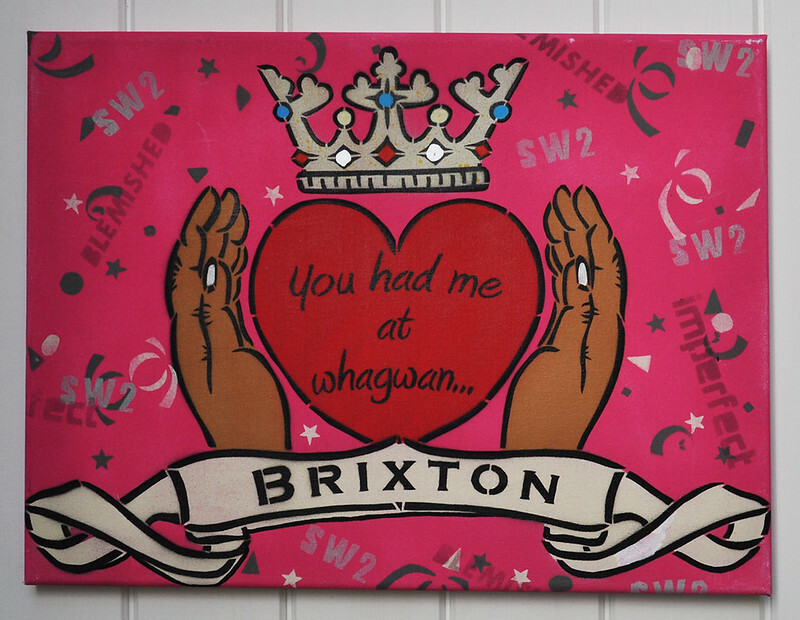 Since living in Brixton I’ve become enamoured with the phrase ‘Whagwan’. For the uninitiated, the phrase means ‘what’s going on’ in Jamaican Patois. The spelling can vary but the meaning doesn’t change. Once I’d combined that with a nice little romantic statement and a bit of traditional Claddagh ring design, hey presto, I had a fully formed idea that became this little declaration of love for Brixton.